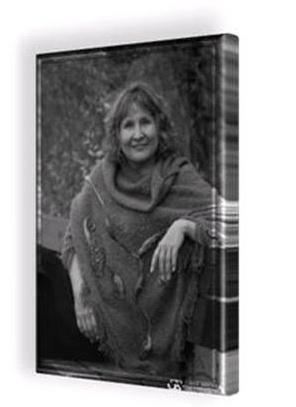 Author Eileen Schuh, whom I interviewed last year, has a new book release! Take a look at THE TRAZ. 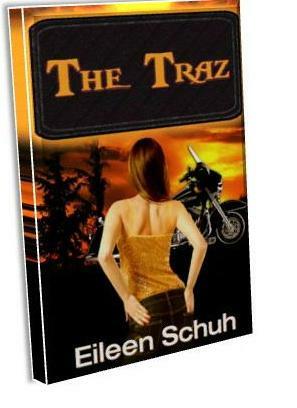 "Raw and emotional with fast-paced, gripping tension, The Traz is a must-read for 'tweens, teens and parents." "Schuh creates complex characters and raw dialogue. This is a fast paced novel where redemption is found on the saddle of a Harley." To sample or buy THE TRAZ http://www.smashwords.com/books/view/60190 or here on Amazon. 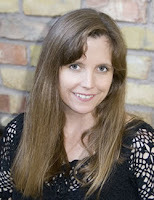 The lovely Shelly Watters is holding an agent-judged contest on her blog which I'm taking part in. As part of the contest, the participants are to post details about their novel as well as the first 250 words for critique on their own blog. So, yeah, that's what this is. We made it to the middle of the week again, my friends. That's reason enough to celebrate, right? Sure it is. So let's do so by meeting another awesome writer. Say hello to Wendy Swore. Hello, Wendy! Tell us a bit about yourself. Writer, Farmer, Mother of 5. That pretty much sums up my life. I named my blog "Goddess of the Corn" because it sounds so much better than "Unpaid Grunt labor" which is what I am. I love winters because I can write for hours every day—whereas in the summer/fall I spend much of that time picking corn, weeding, or leading kids through our corn maze. I don't like to shop or spend money on myself...unless there's a book store around. I probably need to check into a Book Addiction program. I've always dabbled, but I've been writing seriously for about four years. When I started out, it wasn't with the intent to write a book, but I had this story in my head that wouldn't leave me alone. I have learned so much since then about structure, plot, outline, editing.... I don't think writers ever stop learning. I love it. 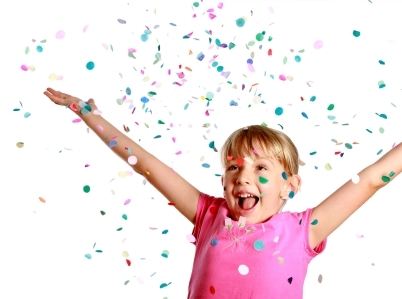 I also volunteer for an after-school young authors club that just finished for the year. Tell us about your contribution to UNLOCKED: Ten "Key" Tales. What’s your story about? My good friend, Rita Webb http://www.goodreads.com/author/show/2882966.Rita_J_Webb , and I had a few stories included in an anthology the year before called Menage-A-20, Tales with a Hook http://www.goodreads.com/book/show/7261620-m-nage-20-tales-with-a-hook and we thought it would be fun to do another one that would still be okay for a younger audience to read. We invited several of the writers from the previous project to submit. The only requirements were that the stories be age appropriate and have a reference to a key in the story. It was fun seeing how many different interpretations of the word "key" came out of that. I wrote one of the stories, Crop Circles, helped edit the others, and took the photos you see on the cover and in the Youtube trailer http://www.youtube.com/watch?v=RarGkVsha44 . Crop Circles is a light-hearted tale about a farm family that makes the most of an unexpected boon, but things don't go quite like they plan in the end. The farm is on my mind all the time since it is such a huge part of my life, so many of my stories are either set on a farm, or have something to do with agriculture. I'm currently sending out queries for my first novel, Coyote Dreams, a coming of age YA contemporary set on a farm on the Sho-Ban reservation. It's in the same vein as Hattie Big Sky but with Tony Hillerman aspects. While that one is going the rounds, I'm working on my next YA, an alternate history—sort of like The Hunger Games meets The Uglies, but with more race related issues. Both have strong multicultural characters. Wow, sounds interesting. What’s the hardest part of writing for you? Keeping the balance between home, work, and writing. I think many of us struggle to find the right mix. When the words are flowing and I’m typing like mad, the house falls into ruin, and the weeds grow up around my ears. When the house is perfect and the farm work complete, I struggle to write a few lines. Right now we’re at a happy medium on all fronts—more like an uneasy truce. Besides being a voracious reader, the single biggest help to my development as a writer has been being active in an online critique group. I have met some amazing people that have completely changed me from a country bumpkin who penned a few lines for fun, into a serious writer who takes no prisoners with edits. If you don't have a good critique group, find one. You can do so online through groups like Goodreads, or in person through SCBWI or your local writer's league. Also, go to writers conferences. They are worth every penny. Pandora. My house is full of five active children, and there is no such thing as a quiet moment. I also don't have the option of going in another room. I write in the middle of it all. So, when I'm writing, I use earbuds and Pandora to nullify the squawks and giggles enough to focus on my writing. Teleportation. I spend so much time on the farm, far from everything and everyone. I would love to be able to pop over to see my grandmother, or some of my online critique friends for an afternoon chat, and then pop back home in time to change the water on the fields. Quick writing test! Use the following words in a sentence: licorice, palm trees, and woolly mammoth. Sounds dreamy! Here’s the part where you thank the people who are supporting you. Let's hear your shout outs. My longtime cyber besties have to be first. Renee, Rita and the rest. You’ve changed my world. 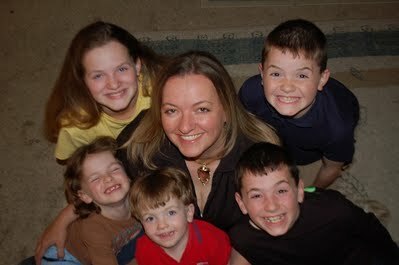 My family, of course, and one more to Authors Incognito and my Storymaker’s pals. Thanks so much for chatting with us, Wendy. Crop Circles sounds great, and I look forward to seeing Coyote Dreams in the bookstores some day. Here's the book trailer for Unlocked! Hello, everyone. Glad to see we all survived the supposed end of the world. In celebration, let's indulge ourselves in another fun interview. This time I'm talking with Jeremy Soldevilla. Welcome, Jeremy. Tell us a bit about yourself. 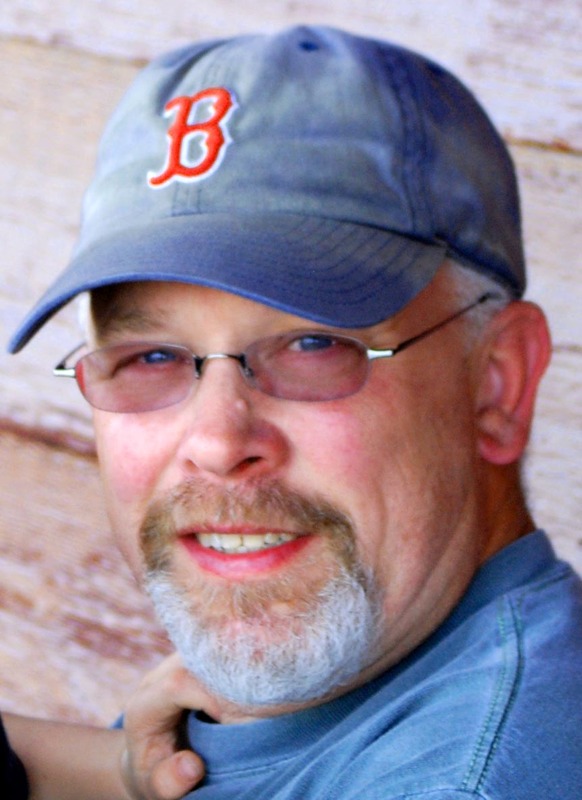 After a long career as a publishing exec in Boston I moved to Montana because I wanted a lifestyle change and to start writing. My wife and I bought a bed and breakfast, and between fixing egg casseroles and making beds, I started my first novel. After two years we sold the inn and I was in a job I was not happy with, so my wife generously offered to be the sole bread winner while I focused on my writing. I finished my novel and went through the machinations that all new authors go through trying to find an agent and a publisher. People in my critique group and others whose opinion I respect praised my book, but I couldn't get an agent or a publisher to give it a chance. I kept writing, however, and had three works in progress when I wrote Thief Creek, basing it on my experience as a Montana innkeeper. Once again I started the discouraging process of shopping my manuscript. At that point I realized how many excellent writers (like myself : )) were out there but whose work would never get a chance to see the light of day because of the way publishers and agents often work. I also knew how little writers understand about the publishing process and that I could help good unpublished writers get their work into book form without having to go the self-publishing route. 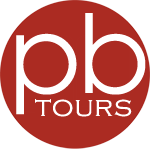 In January of this year I formed Christopher Matthews Publishing Services, Inc. (named after my two sons). and began publishing books that I vetted and had faith in. I was joined by a former colleague and good friend, Armen Kojoyian, an accomplished artist and designer that has created covers for many of the leading NY and European publishing houses. His office is in NY and he and I work together via Skype. We also provide services and advice for authors who want to self-publish their books with other companies but may need help in formatting or getting professional cover designs. I have less time for my writing now, but am going back and polishing up some of my unfinished projects. All my life. I've loved writing since I was very young. My first job was as an advertising copywriter for a publishing company where my first ad copy was for a book called Maintenance and Repair of Band Instruments. I learned it doesn't matter what you're writing as long as you're writing. It wasn't until 2005 when I first started writing seriously for myself, however. I took a couple of adult ed courses in fiction writing and formed a critique group, The Bozeman Inkslingers. The group has been most instructive and inspirational for me. 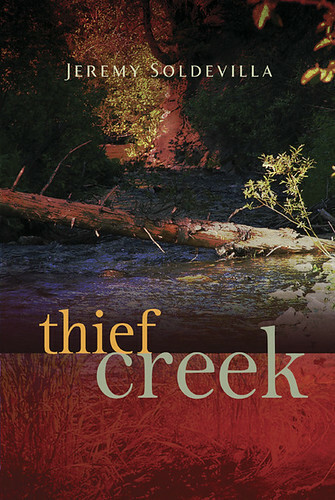 Tell us about THIEF CREEK. What's the story about and how did the idea come to you? Four escaped convicts, the Toomey brothers, making their getaway, hold up a convenience store and the youngest brother gets shot in the back. They get in an accident and end up going to the Thief Creek Bed and Breakfast -- the only place in the remote Northwest part of Montana where they are at, to try to steal a car and save their brother. The only two guests at the inn are a honeymooning couple from Ohio. He is a new doctor and she teaches women's self-defense. There is no car available at the inn and when the young doctor is unable to save the younger brother's life, all hell breaks out. The heroes of the story turn out to be surprises. I love the beauty of Montana and like to use it as my backdrop for my books. I came up with the initial idea for the book in my sleep, where most of my ideas hit me, and then I get up and start putting things down on my computer. I wanted to come up with an unlikely place in Montana for desperate escaped cons to terrorize and thought that a remote B&B would be a perfect unlikely spot. Drawing on my memories of the inn I used to own, I built the story from there. Wow, that sounds exciting. What’s the hardest part of writing for you? For some writers, it's the dedication of writing everyday, but for me it's an adventure and I make a point of devoting the first several hours of every morning to my story. The hardest part for me is the editing. I have to really think carefully about what's working and what isn't; cutting out the unhelpful stuff and fine tuning the rest. My critique group is a tremendous help in this process. When I started seriously writing, I took courses, read books on writing, and attended workshops. I knew I had talent, but I learned quickly that there was much more to crafting a book than just writing skills. I also learned to not get too hung up on rules. I decided to someday write a book on writing where each chapter would refute the previous one. A lot of the "rules' we learned in English class go out the window if you want to write a compelling novel. Also, I would find one "hard and fast rule" by one expert would be the complete opposite of another expert's hard and fast rule. The tip is to just write what feels right to you. Then go back and make it beautiful. Most important -- read, read, read. Read as much as you can as often as you can. As you begin to write you find yourself reading much more analytically. How does the author craft his/her book? What phrases strike you as really powerful? How does the author make us care or hate his characters? Learn from your favorite authors. Read as much as you can in the genre you write in, but also read books in other genres to enrich your own writing. Don't give up. The rejection notices, the distractions from writing, the self-doubts can do a number on a writer. But I have a quote from author Richard Bach posted next to my computer: "A professional writer is an amateur who didn't quit." The internet and a cup of coffee. One of my favorite parts of writing is researching details to give my stories authenticity. I also need to find just the right words, so an online thesaurus is an enormous help. If it wasn't for the vast and easily available database of the internet I don't think I could write a book. I also like having my Golden Retriever and my Yorkie keeping me company and reminding me when it's time to stop. What I don't need is my damn cat jumping in my lap or on the keyboard! Wow. It would have to be the ability to fly. When I've flown in my dreams it's an amazing experience. In my sleep it seems so real and natural and fun. Quick writing test! Use the following words in a sentence: obligatory, tight rope, and Chinese paper lantern. With rivulets of sweat dribbling down her face,Virginia gingerly took the obligatory first step on the tight rope with the Chinese paper lantern in one hand, the parasol in the other and the diarrhea-ridden Capuchin monkey perched on her head. Amazing sentence! Here’s the part where you thank the people who are supporting you. Let's hear your shout outs. First and foremost, I am eternally grateful for the generosity, patience and solid advice of my wife. Shout outs to my fellow Inkslingers and authors, Frank Seitz, Ellen Figura, Kathy Tyers, Donna Wallace, Jamie Upschulte, Marci Whitehurst, Sue Geske, Sharon Dunn and Dennis Flath -- all great writers themselves -- have been immensely helpful with their support and suggestions. They can find me and my book at www.christophermatthewspub.com or any of the usual online bookstores. Life gets busy. It's a fact. But hopefully you writers out there aren't letting life completely wipe out your writing progress. Yes, there are times when you've got so much on your plate you can't even spare a minute to write one sentence. But hopefully your hectic schedules won't ever completely stop you from writing. For me, even when I'm too busy to immerse myself in a world totally made up in my head, I plan. I more or less outline how I want my current story - or my next story - to pan out. I've got three stories swirling about in my head that I'd love to have time to write right now, but alas, there is life tripping me up. For the last few weeks, it's been baking that's getting in the way. My husband, my son, and two good friends of mine have all had birthdays in the last four weeks, and somehow my creativity has been flowing through my oven. Which is fine - baking cupcakes is kinda fun. And yummy. But actually, all that mixing and pouring and crushing and frosting has the writing wheels in my head chugging along. I will be writing again soon. Very soon. I just know it. Oh, and the baking? Let me just show you. Oreo cupcakes. And yes, there's an Oreo at the bottom too! Cookie-crumble bottom vanilla cupcakes with chocolate frosting and caramel drizzle (and surprise caramel mousse chocolate inside). About a year ago I interviewed author Kevin McGill and learned about his book NIKOLAS AND COMPANY: A CREATURE MOST FOUL. Well, today the official release of the book trailer has come out, and I'm here to share it with you. It looks brilliant! Check it out. Want to know more? Check out Kevin's website for all the details. Hello, my faithful readers. After taking a small break after Easter, I've returned bearing the gift of an interview with an amazing writer I'm sure you'll all love. I'm really excited to be able to introduce you to Mary Lindsey. Hi, Mary! It's great to have you here. Tell us a bit about yourself. I live in Houston, Texas with my husband and three teen children. We have some odd pets, like Madagascar Hissing Cockroaches. Yikes! Odd indeed! *shudders* How long have you been writing? I majored in English Literature, but had only written literary analysis until four years ago, when I wrote a novel for my teen daughter as a birthday present. I gave her a chapter a day for 31 days. That's so sweet! Tell us about SHATTERED SOULS. What’s the story about? 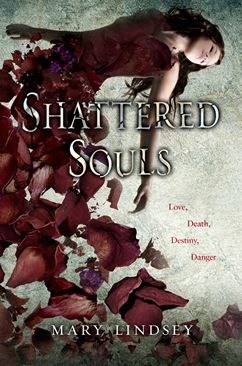 Shattered Souls is not the novel I mentioned in the previous question. That one is safely in a binder on a shelf, never to see the light of day. Shattered Souls came about because one of my high school acting students complained about a "lame" summer reading assignment. To help take the sting out, I told her I'd read it with her and we could discuss it as we went. It was Isaac's Storm (which is wonderful, by the way) about the Great Storm of 1900 that hit the Texas Gulf Coast and is still the worst natural disaster in terms of the loss of life in US history. I'd read essays by Isaac Cline in high school, so I knew his story, but this book really hit home emotionally for me. I had been toying with the idea of a ghost story, and needed an event that would cause lots of people to die before their time. Jackpot! The story is told in present day, but the characters are reincarnated, and the Storm is a feature in their past lives. Wow, I love it already. It's definitely going on my list of books to read. And the cover is simply gorgeous! Tell us, what’s the hardest part of writing for you? I think turning off my internal editor is the hardest part. When I first began writing, the stories came much easier. Now, I find myself analyzing every sentence, sometimes at the expense of getting the story out. Hang in there. The only thing all published authors have in common is that they didn't quit. Absolutely excellent advice (that I will try to follow as well). Let’s get to know you on a deeper level. What do you absolutely have to have nearby when writing? Coffee and a window. I must have a view to the outside. The ability to instill happiness in those around me (Psst: I have this power sometimes). Very cool! Here’s the part where you thank the people who are supporting you. Let's hear your shout outs.! Honestly, I don't know how writers survived before the internet. In addition to my family, of course, my online community of friends, writers, book bloggers and readers is sometimes the only thing that keeps me going. I also happen to have the most spectacular agent and agency in the world. 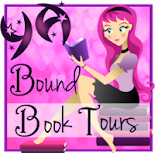 I'm represented by Ammi-Joan Paquette of the Erin Murphy Literary Agency. Lotto win! 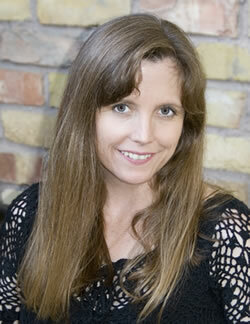 Additionally, I'm blessed to have the brilliant Jill Santopolo as my editor over at Penguin. I'll spare you any more specific credits as they are in the acknowledgements of the book. Shattered Souls is on Goodreads and is available for preorder on Amazon. Mary, thank you so much for chatting with us. I wish you all the best with this book and all your future ones!